Poultry farmers are increasingly raising chickens, turkeys, ducks and geese in environmentally greener and healthier habitats, according to the American Pastured Poultry Producers Association. Consumers are increasingly demanding local and healthier birds, according to Mike Badger, executive director of the poultry association. A marketing initiative for pastured poultry is being developed by Purdue’s Extension service to boost interest in the practice. Advocates regard it as more sustainable and humane for the birds. “As birds are raised outside, they are stronger and have less need to be medicated than birds indoors, which can be overcrowded and stressed,” said Corinne Carpenter, a small poultry farmer in Webberville, Mich.
Carpenter, owner of Break O’Day Farm, practices both pastured poultry and free range. 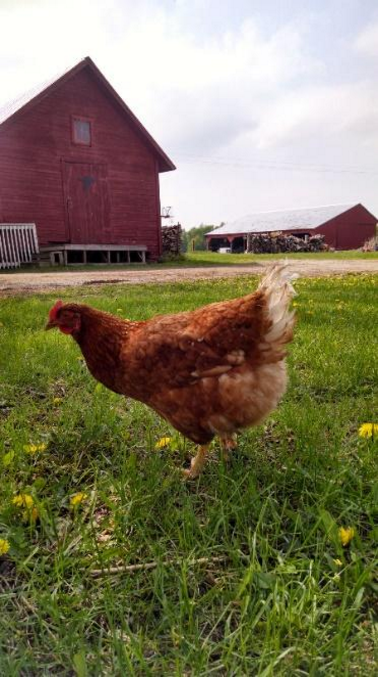 With pastured poultry, hens roam without fences, she said. 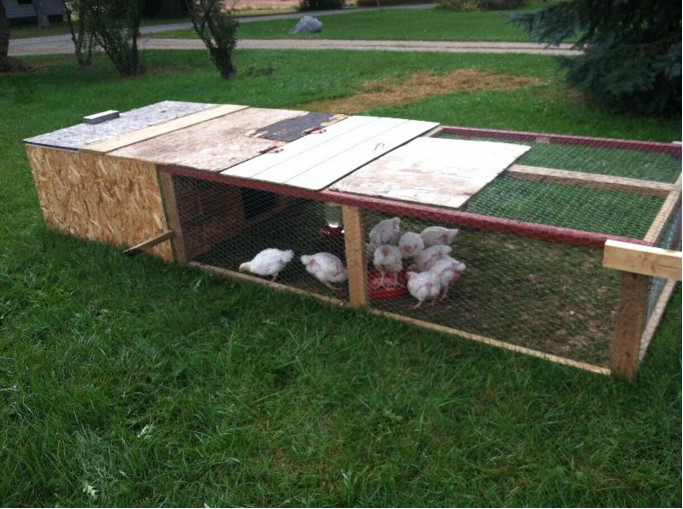 Free range chickens roam in a fenced-in enclosure but have a coop to go into at night. “I put meat birds in the shelters because meat birds are stupid,” said Carpenter. The shelter protects the birds from predators. Her laying chickens are smarter and can fly into trees when predators approach. Smaller scale Salatin tractor for meat birds. Image: Caitlin Carpenter. “Salatin basically started promoting pasture poultry,” said Kenneth W. Koelkebeck, a poultry specialist at the University of Illinois Extension. Larson also runs a small free range farm with 600 hens in the summer and 300 in the winter. He practices both types of poultry production with a crossbred strain of chickens that are great egg layers, hardy and docile, he said. These characteristics make them good for free range production. Larson sells his eggs to local restaurants, retail stores and farmers markets. Paul Ehrhardt, owner of JenEhr Farms in Wisconsin, raises about 8,500 meat birds a year. He processes them in Minnesota because it has the closest processing facility that can handle that many. Purdue’s pastured poultry program will likely process its poultry in a U.S. Department of Agriculture facility.